Chicago's Cookie Classic 5K a Great Success! Time Out Chicago reports that the Girl Scouts of Greater Chicago and Northwest Indiana threw its inaugural Cookie Classic, a 5K run and walk, on Saturday, September 8. Definitely check out Time Out Chicago's slideshow of the event! Earlier last week, Maria Wynne, CEO of Girl Scouts of Greater Chicago and Northwest Indiana, visited ABC7 to talk about the celebrations for a landmark anniversary. 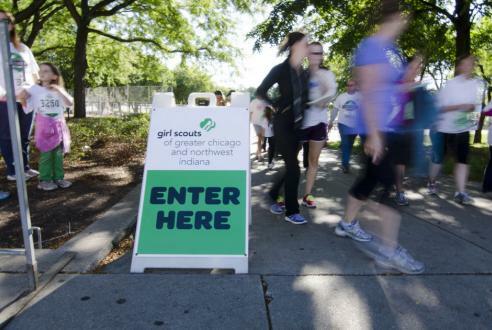 To celebrate the 100th anniversary of Girl Scouting, Girl Scouts of Greater Chicago and Northwest Indiana hosted the 5K Run and walk. The day featured American Idol's Haley Reinhart, The Buckinghams and pop group Savvy.